For Turner, one hugely compelling reason for looking forward instead of back at the 152,734 “things” that Slate has published is that it’s a total #Slatepitch move. But rather than turn away from past content, it’s using pieces from its past as a reference point. So far, that includes a piece on how Harry Potter affected fanfiction‘s influence and future, and a look at digital vs. print archives and the ways in which work and memory can be lost to each. There is some anthologizing happening, and in the fashion of the times, it’s in the form of a searchable, interactive graphic. Type in a search term and colored pixels appear on a graph, organized by year, each one a clickable link to an article from the archive. 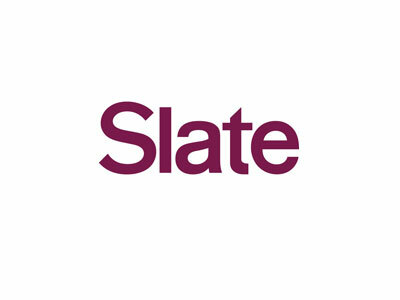 We chose Slate pitch as our search term, and the first reference is from a 2009 post titled, “The Slate Pitch Twitter Meme,” in which Juliet Lapidos writes about the not-so-positive response to a Slate post by then pop critic Jonah Weiner in which he contended that the band Creed was underrated. “Did Weiner’s Creed defense also set off a new twitter meme? About 15 hours ago, tweets with the hashtag ‘slatepitches’ started circulating,” wrote Lapidos. And they haven’t stopped since.